When you see the words “holiday” and “RV” in the same sentence, your first thought may be of cousin Eddie, shamelessly dumping his sewer into the public city system. But so long as you don’t reenact this classic Christmas movie scene — not only because it’s gross, but also because, as Clark points out, it’s illegal — holiday RV travel is an amazing way to take on your annual road trip, whether you’re traveling to see family or just looking to take on some relaxing winter adventures. Of course, if spending the holidays camping isn’t already a tradition in your family, it might be a totally new experience for you. And because the holidays are so rare and special, it’s important to make the preparations you need to ensure you and your family will have a good time, enjoying a safe, healthy, and all-out magical holiday trip. 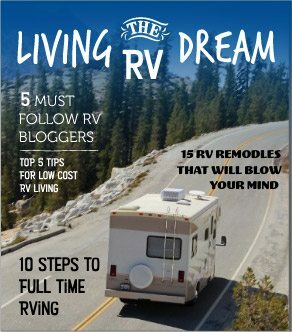 So we put together this comprehensive guide post, the absolute last and only resource you’ll need if you’re planning to travel by RV over the holidays. And we’re not just talking Christmas, folks! Halloween, Thanksgiving, even Veterans Day — if you’re hitting the road between October and December, this post is for you. Ready to discover some amazing holiday destinations and learn more about how to stay safe and comfortable while you get to them? Wondering how to keep up with cherished holiday traditions while you’re on the road? Sit back, relax — and maybe grab a nice, warm winter beverage to get in the spirit. 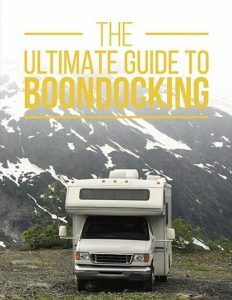 We’re going to lay out everything you need to know to enjoy the winter holidays in a camper. Although summer might get all the glory when we think about the best time of year to go RVing, there’s a strong argument to be made that the winter holiday season is even better. First of all, chances are you’ve got to travel over the holidays anyway. With families all over the country trying to get themselves all in one place for the big celebration, the winter season means jam-packed roads and lengthy lines at the airport. If you’ve got to hit the road anyway, you might as well do it in the comfort of your very own private bungalow on wheels! Secondly, the winter holidays bring a welcome break from what can be a dreary, tedious time of year. 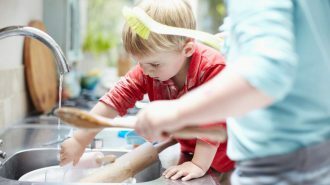 By late September, kids are knee-deep in schoolwork and mom and dad may have a number of projects going, and the memory of that relaxing summer trip is quickly fading. Taking a holiday road trip can shake up your schedule and leave everyone feeling refreshed and ready to tackle their tasks anew when they return. 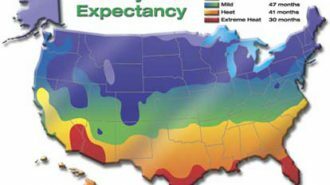 Finally for many of us, the cooler weather isn’t a drawback — if anything, it’s actually a benefit. Who wants to sweat through every single shirt they brought for the trip? In many places, fall and winter mean cool, crisp, sunny days that are perfect for a number of outdoor adventures you just can’t do during the summer, whether that’s leaf peeping or skiing. Take advantage of nature’s playground by getting outside during the cooler seasons! 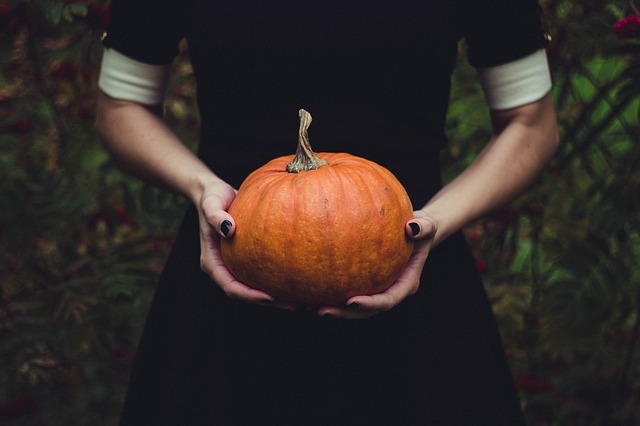 When you think of holiday travel, Halloween might not be the first holiday that springs to mind. For reasons unbeknownst to us, everyone’s favorite day of spookery has yet to be given the same kind of respect that Thanksgiving and Christmas get — which means you probably don’t have it off from work. But if you can finagle a long weekend, late October is an amazing time to travel; the fall leaves are in full effect in many areas, and the weather is cool without being downright cold. Plus, there are a number of can’t-miss Halloween events and parties taking place across the country… and a whole lot of historic (read: haunted) cities and buildings, too. One of the most exciting parts about Halloween is the chance to decorate — you can transform your space into a sinister castle or a spooky haunted cabin. 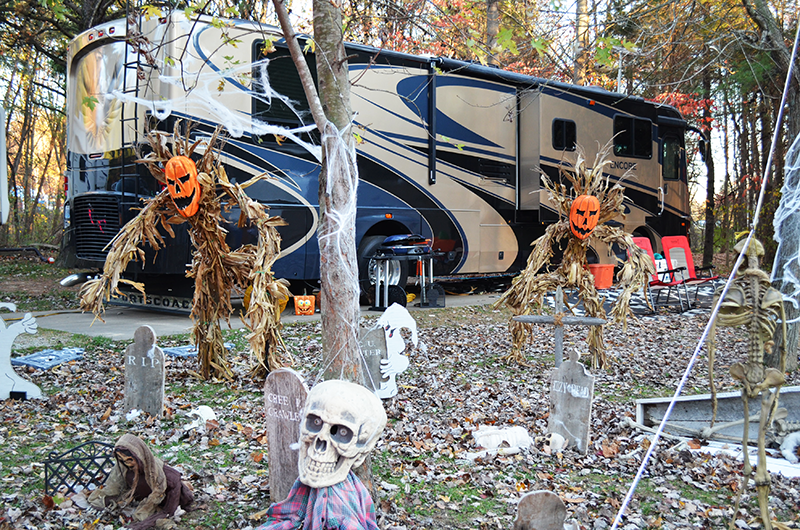 And if you take your Halloween travels by RV, you won’t have to give up that tradition! 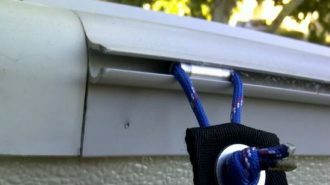 Whether you drape fake cobwebs throughout your RV’s interior or get creative with your outdoor setup, when you’re camping, your space is still your own, so you can dress it up however you see fit. So whether you simply place a few smiling Jack-o-Lanterns around your vehicle or you make it into a full-on mobile haunted mansion, don’t be afraid to get into the spirit! Even if childhood is long behind you, you probably look forward to the Halloween tradition of trick or treating. In fact, giving out candy can be even more fun than receiving it was: you skip the stomach ache and get to scope out tons of cool costumes! 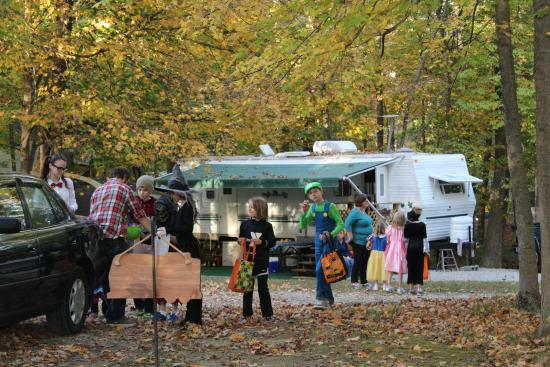 If handing out candy, or taking your own kids out on a trick-or-treating adventure, is a factor in your Halloween plans, take heart: campgrounds are an amazing setting in which to take on this tradition. Campers are already known for creating friendly and helpful, if ephemeral, communities, and you can count on them to bring on the Halloween goodness. 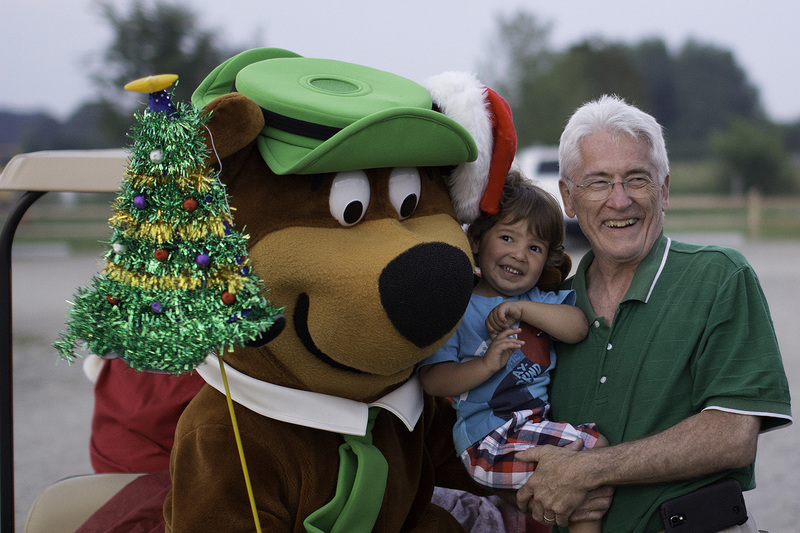 Plus, some campgrounds, like select KOAs and Jellystone Parks, even organize thematic, family-friendly events to celebrate the season! You might be looking for a chill October getaway that won’t freak out the kids too badly… or maybe you want to descend right into the heart of Halloween madness. 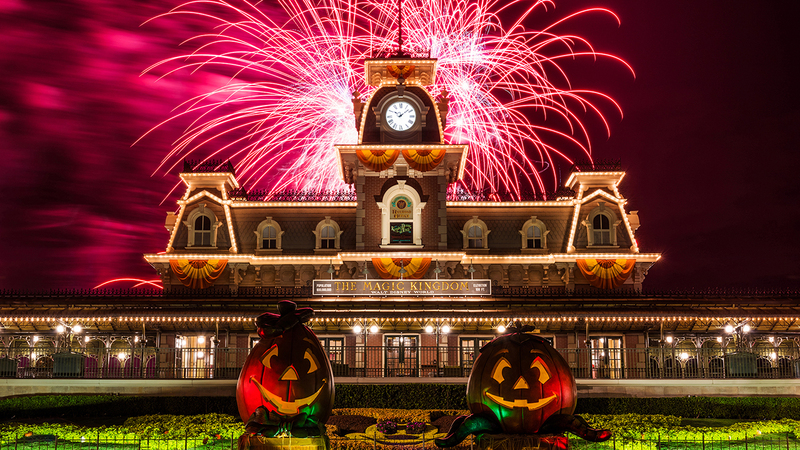 Either way, there are plenty of amazing Halloween travel destinations to consider. Perhaps the premier Halloween destination in the northeast (which has a lot of haunted towns to choose from), Salem offers so much more than witch-hunt stories. In fact, in response to its overwhelming popularity as a haunted hot spot, the town’s organized a wide variety of spooky celebrations — many of which are actually not all that scary at all, and totally family-friendly. What with its entertaining and educational museums and events, it’s easy to forget one of the most appealing parts this Massachusetts destination: it’s lovely seaside scenery, in October on a backdrop of stunning fall foliage. You can even day-trip down to Boston if you want! With a strong history of occult magic and a plethora of labyrinthine cemeteries, it’s hard to imagine a more perfect American Halloween destination than New Orleans. Although you could seriously creep yourself out just walking around historic downtown, the city puts on plenty of organized festivities to keep you on your toes. If you’re brave enough to head to Bourbon Street after dark, you’ll enjoy the insanity that is the Krewe of Boo, New Orleans’ much-anticipated Halloween Parade. 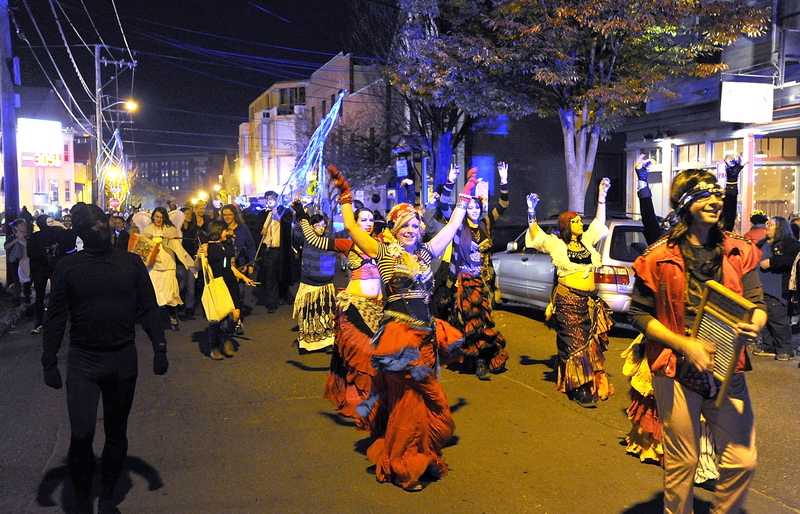 Other annual celebrations include a Vampire Ball and the Voodoo Festival, which marries tunes with terror. 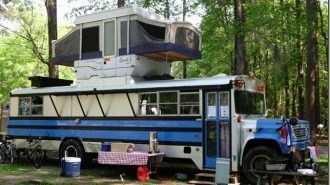 Click here to see RVshare rentals near New Orleans, Louisiana. 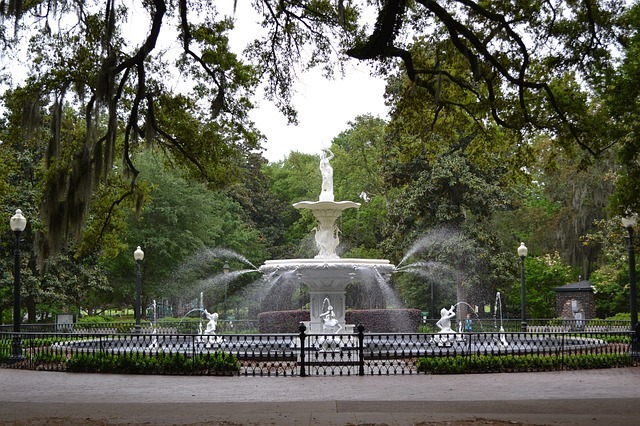 Yet another spooky southern charmer, just one walk around this historic town’s squares under Spanish-moss-strewn oaks will have you feeling the haunted holiday spirit. 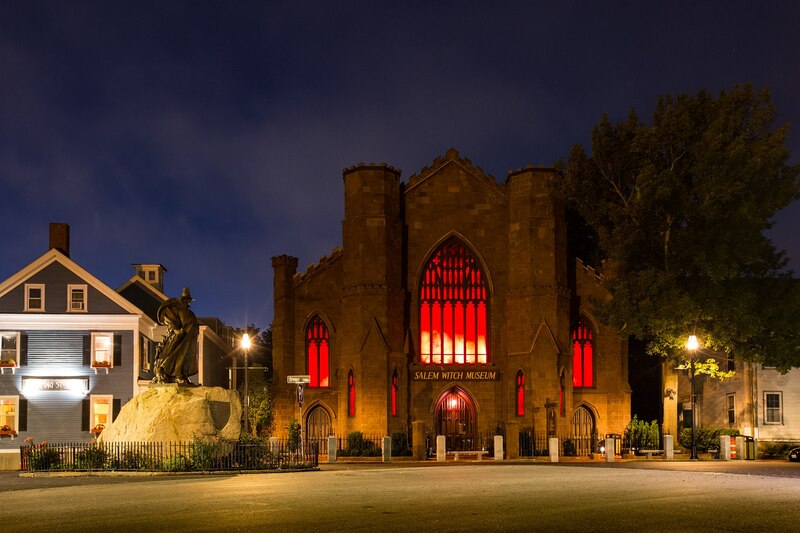 If you’re really ready for a scare, take on one of the city’s many guided ghost tours, who tell real tales of Savannah’s bloody history and present-day purported otherworldly experiences. Otherwise, feel the someone’s-still-there vibes at one of the town’s many gorgeous renovated historic mansions. Psst: If you came this far, it’s well worth the hour-long trip out to Tybee Island, where you can juxtapose Savannah’s bustling downtown with quiet coastal life. Don’t miss the lighthouse and museum! If you’re not a native Ohioan, chances are you haven’t heard of this small town nestled in the state’s southeastern corner. 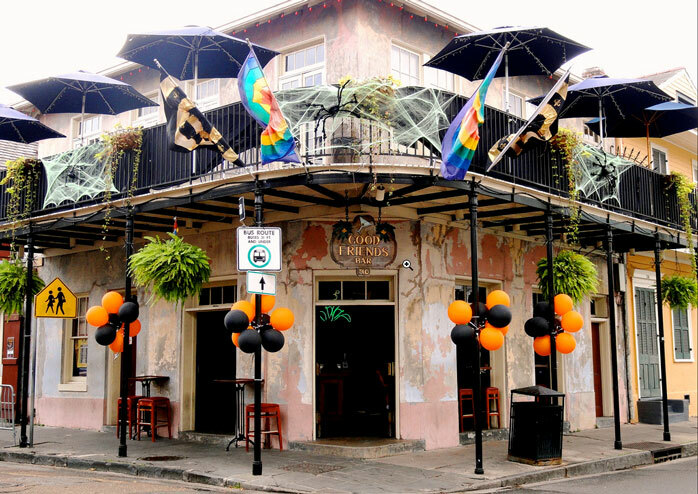 But come All Hallows Eve, this little burg creates a bit commotion — it’s home to one of the largest and most infamous Halloween block parties in the country. 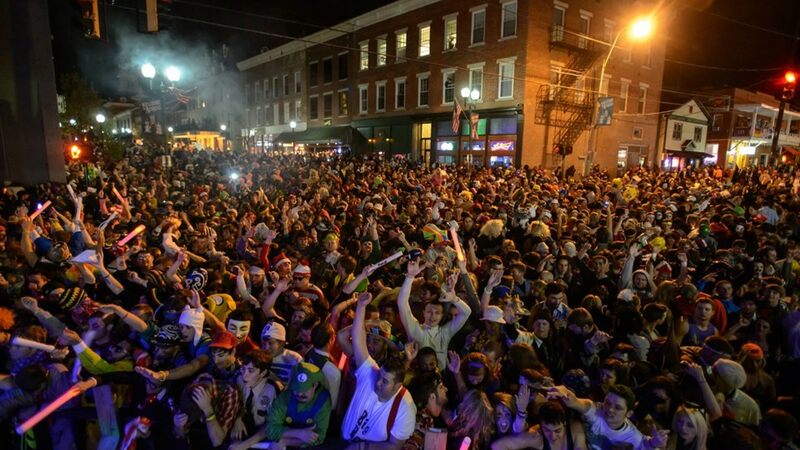 The festivities are mainly spearheaded by the town’s tens of thousands of college students, looking to shake off some of the stress of their busy lives at OU. But even if getting wild isn’t your idea of a holiday, you might still have a good time in this little stretch of the heartland. Just minutes from town, you can find yourself surrounded by the scenic stones and unlikely waterfalls of Hocking Hills State Park, which is also a prime candidate for affordable area camping. By late October, those hiking trails should be covered over in a gorgeous blanket of calico colors — as will the ones that wend their way around the property of the nearby historic Athens Lunatic Asylum, locally known as The Ridges. Spooky, yet serene and satisfying! Click here to see RVshare rentals near Athens, Ohio. If you’re traveling with kids — and even if you’re not — there’s never a bad time to camp at Disney. Its on-site Fort Wilderness Campground is as comfortable as it is convenient, and the property’s multiple parks mean endless options for thrills, chills, and fun. 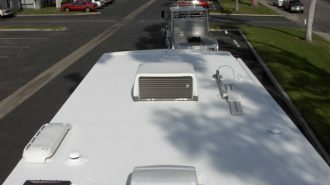 Click here to see RVshare rentals near Orlando, Florida. If you’re looking for Halloween fun west of the Mississippi, you can’t do much better than northern New Mexico. 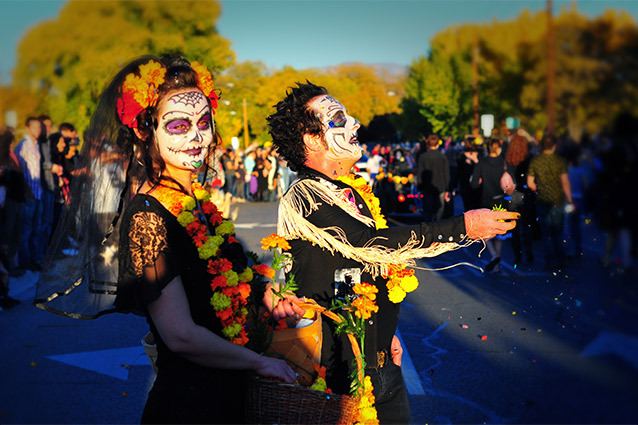 Just remote enough to be a little creepy no matter when you visit, this capital city is also the oldest — and with its strong Mexican cultural heritage, Santa Fe’s Day of the Dead celebrations are serious business. As enjoyable as the old traditions are, there are plenty of new ones in this weird little desert town, too — which is apt, given the state’s name. Head to the immersive arts experience that is Meow Wolf for some interdimensional adventures sure to make any visitor feel ever-so-off-balance, whether you come in April or October; they’re sure to throw a pretty insane bash on the spookiest day of the year. Click here to see RVshare rentals near Santa Fe, New Mexico. If you’ve been meaning to make it up to the Pacific Northwest, why not head there this October? It’s still relatively warm, and the full force of the area’s famous rainy season hasn’t hit yet — plus, the fall foliage is at its peak. 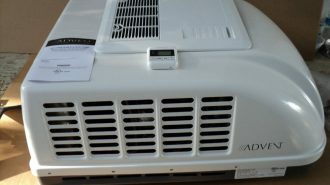 Click here to see RVshare rentals near Portland, Oregon. While they might not be as popular as summer adventures, a huge number of Americans take to the road for Thanksgiving trips — almost 50 million, in fact, according to a 2016 estimate by AAA. And even if you don’t travel on turkey day itself, many of us are aching for a getaway by November, when school’s already been in swing for two full months and the temperatures are turning chilly — which is why Veterans Day weekend is another popular travel weekend. Whether you’re packing up to spend the holiday with extended family or simply aiming to get away from it all, Thanksgiving road trips are way better when taken in an RV. 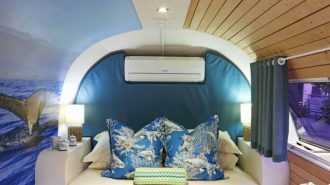 You’ll have the opportunity to stay close to Aunt Mabel without actually crashing her guest room, and you can even cook all your holiday favorites on board your rig — which is way better than creating a “holiday feast” out of the hotel minibar. Here’s how enjoy a successful Thanksgiving on the road — and some of the best Thanksgiving destinations to consider. Yes, You Can Make Turkey Dinner in Your RV! 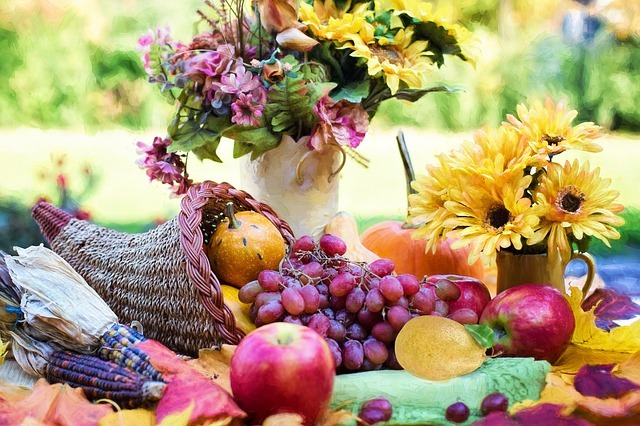 As every red-blooded American knows, Thanksgiving is as much about gluttony as it is about gratitude. And if you’re eyeing that teeny-tiny RV kitchen with trepidation, we’re here to tell you: Yes, it is totally possible to make a full-on Thanksgiving dinner while camping! One way to use your kitchen space to the max is to outsource some — or all! — of your cooking to the great outdoors. Camping and grilling go hand in hand for a reason. After all, there’s no law that says the meal of the day has to be a whole turkey, and firing up some turkey legs (or heck, even steaks) can still make for an amazing holiday meal. The grill can transform even so-so veggies into culinary delights, as well; click here to read our full-on grillmaster guide, complete with just a few recipe ideas you might not have considered yet. If you’ve absolutely gotta do the whole bird, no problem: you can use an outdoor deep fryer. I don’t know about you, but I’ve been curious about deep-fried turkey since that one episode of Alton Brown’s Good Eats. This could be your chance to finally try it! 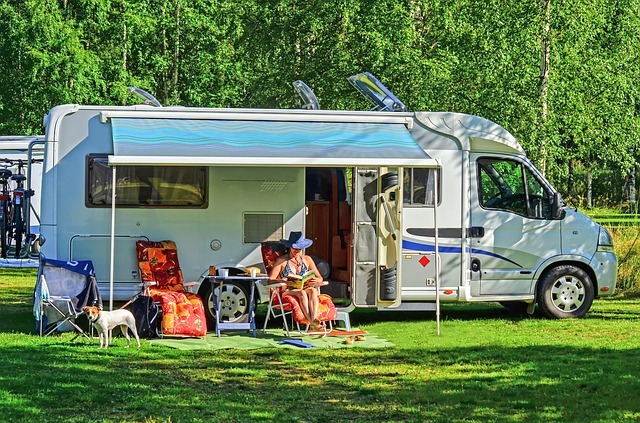 But even if you’ve got a dozen or more guests to consider, you can entertain them all comfortably with your motorhome or travel trailer as a base — so long as you take the right preparatory steps and make the right adjustments. We’ve actually written about how to entertain a large party in a small space here on the RVshare blog before; you can read the entire post by clicking here. But for your convenience, here are a few of the key takeaways from that post, which will help make your RV Thanksgiving hosting experience run a whole lot smoother. Go casual. If you trade your traditional, sit-down Thanksgiving for a lower-key, finger-food affair, folks can circulate and eat at their leisure… which means you don’t need to seat fifteen people all at the same time. Consider a caravan. We’ll get more into this in the next subsection, but camping can be a great way to bring the whole family together into a middle space, rather than having everyone travel to one member’s host city. 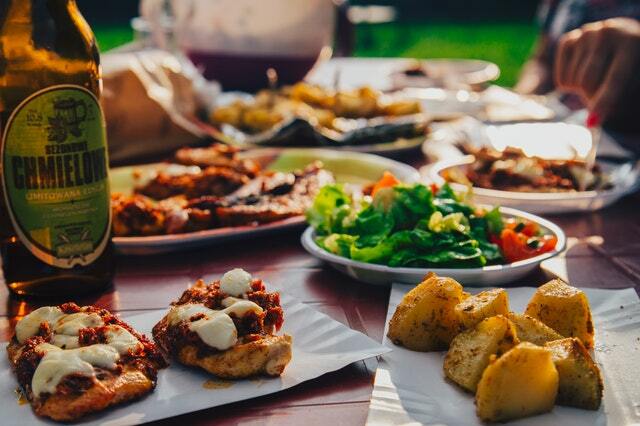 If everyone brings their own camper, there’s plenty of room for cooking, dining, and mingling… and you get to have your privacy once the meal’s over! So, here’s one great thing about RVing for Thanksgiving that may have already crossed your mind, even if you didn’t say it out loud. Camping for the holiday keeps you from having to stay with your in-laws. Because let’s face it. Even though you love them, sharing small spaces with extended family members can be awkward and tiresome for all parties involved! RVing is also a great solution for large families who live in many different parts of the country. 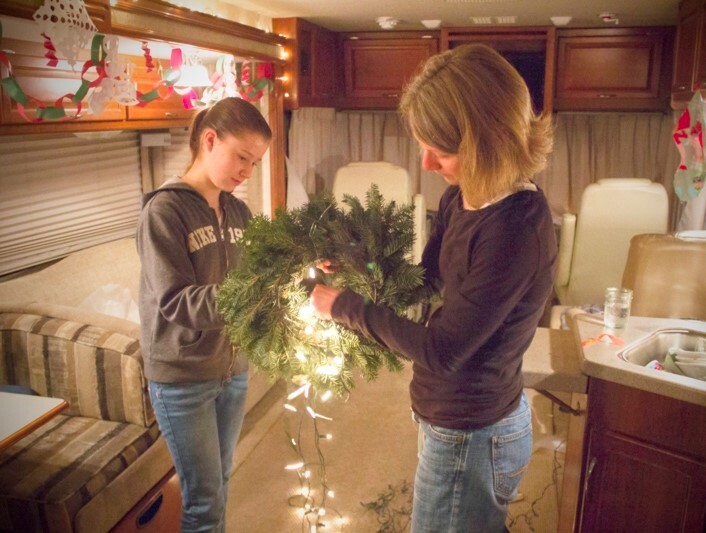 Instead of choosing one person’s locale and descending upon it en masse, each family group can bring their own RV to some central — neutral — location, creating a kind of RV caravan for the holidays. It can be a great way to introduce the whole family to a new destination, and it keeps anyone from having to deal with the stress of hosting… i.e., taking care of the bulk of the dishes and finding sleeping space for a dozen house guests! Here are a few Thanksgiving travel ideas to consider, whether you’re looking for quick weekend getaways or longer-term November travel. 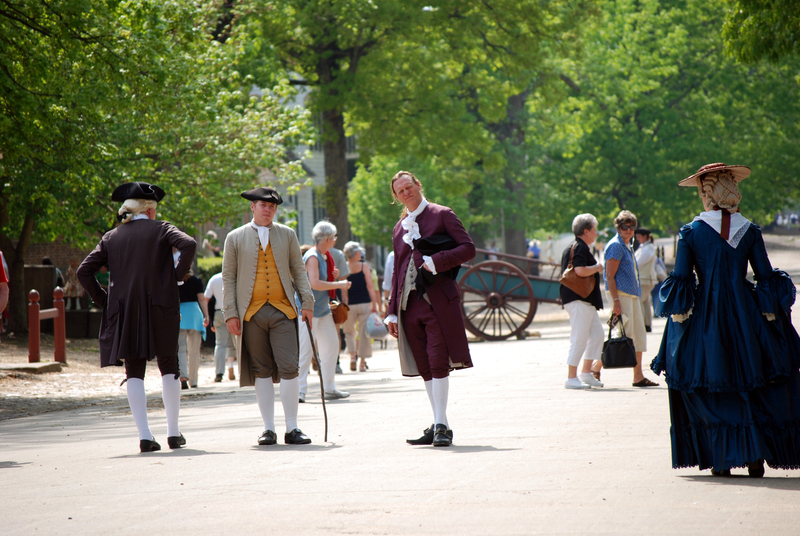 How better to celebrate America’s first feast than in the very city where it took place almost 400 years ago? 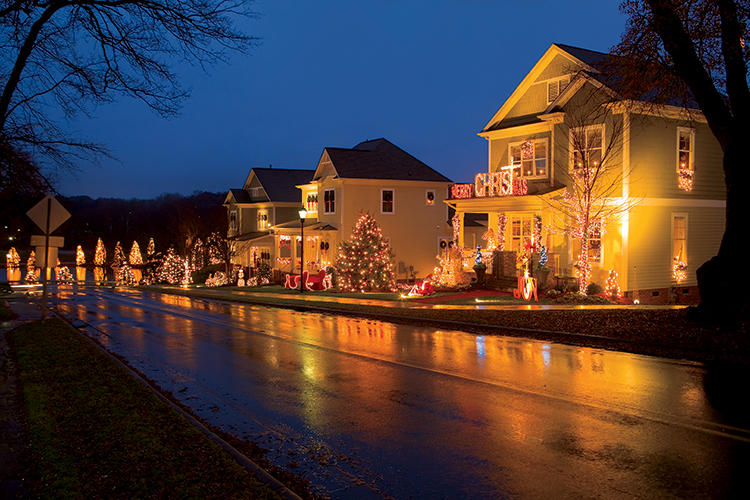 Understandably, Plymouth does Thanksgiving with the fervor most towns usually reserve for Christmas, offering patriotic concerts, an annual parade, and Pilgrim-guided waterfront tours. And if you don’t want to recreate the banquet yourself, you’ve got plenty of catered options. 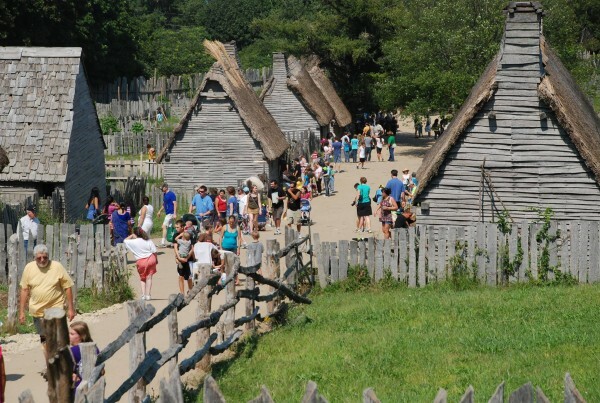 The Plimoth Plantation historical park offers a low-key (but delicious) homestyle buffet or an educational “Story of Thanksgiving” dinner experience. Of course, the self-declared world’s largest living history museum has a ton of entertainment and education to offer no matter when you visit… but with the spread they put out for the big day, there’s plenty of reason to make Williamsburg your Thanksgiving destination. Depending on where in the world you call home, late November might be downright grim. So if you’re looking for a chance to thaw out — and maybe to experience some non-turkey culinary delectables — this southern gem is worth your consideration. If a beachside Thanksgiving is calling your name, look no further than Florida’s gulf coast — and specifically, this sunshiney city that’s been seeing a recent reconnaissance. Despite its sleepy demeanor, Saint Pete packs a serious punch when it comes to art and culture, including the largest and most extensive collection of Salvador Dali artwork in the world. For the big night, you could crank up your RV oven… or head to one of this beach town’s many world-class eateries. Whether you’re in the mood for a hand-cut steak or vegan fare, there are ample culinary opportunities to explore in what the locals call “the ‘Burg.” Just call the 70-degree weather a bonus. Click here to see RVshare rentals near Saint Petersburg, Florida. Although this California national park might not have the big-name star power of Death Valley or Yosemite, it’s hard to beat if you’re looking for nature to give you some perspective. Home to some of the tallest trees on earth, wandering through a redwood forest will make you feel like you’ve been through a shrink-ray… or as if you’re a fairy in an ancient, magical thicket. 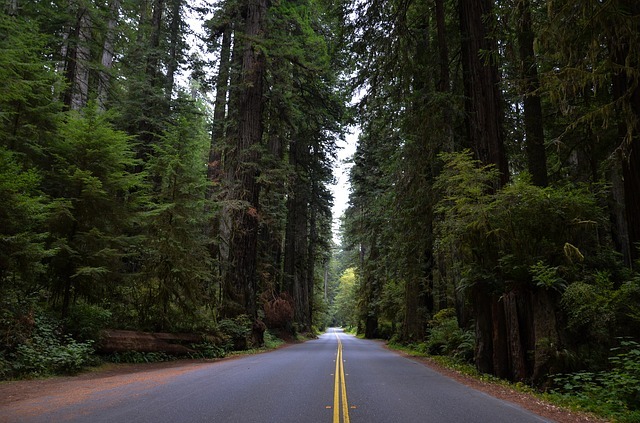 Click here to see RVshare rentals near Redwood National Park, California. Christmas vacations are a big deal. Why else woud there be a National Lampoon movie all about them? 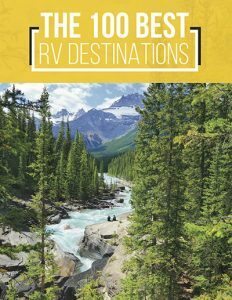 If you’re already planning to make a Christmas getaway road trip, upgrading to an RV can be a total game-changer. Rather than spending the most magical day of the year in a character-free hotel room, you can be cozied up with your family in your own private space, complete with all your favorite Christmas decorations, games, and, of course, some delicious homemade Yuletide treats. 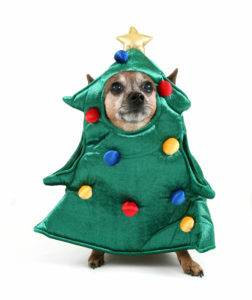 Just as with Thanksgiving, it does take a little bit of planning to pull off Christmas on the road. Fortunately, we’re here to help! But just as we discussed above, a small camper doesn’t mean a big meal is off the table. 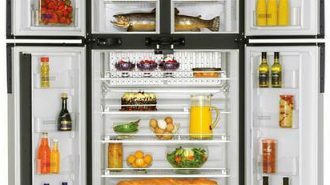 On the contrary: you actually have a whole lot of culinary breathing room if you know how to maximize your RV kitchen’s utility. 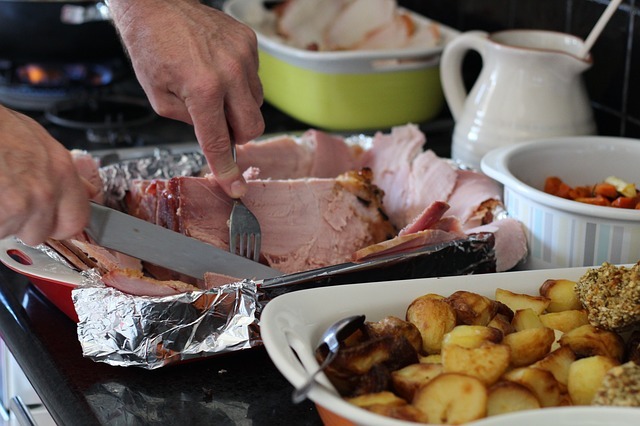 Check out these tips on creating a big holiday meal in a small RV footprint. 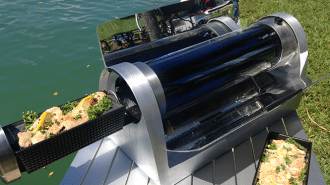 A few well-selected RV kitchen accessories can go a long way toward turning Christmas camping cookery from drudgery to delight, and you can use them for other trips throughout the year, too. If you’re used to putting on a big production for Christmas, complete with ornate displays of intricate decorations, you might wonder how you can translate that to the RV life. 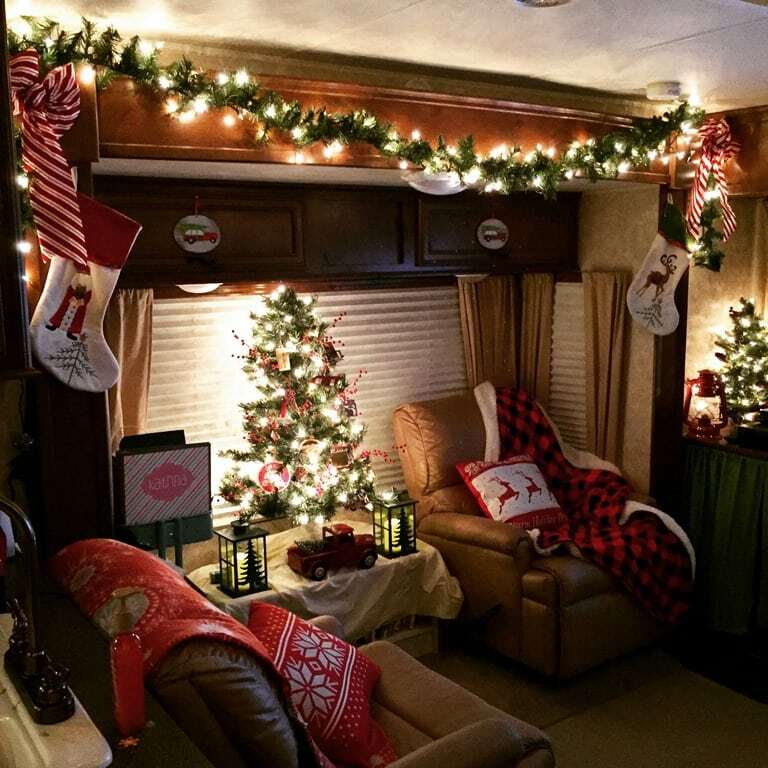 After all, even in a large Class A motorhome, you’re dealing with a pretty limited footprint; you may not have room for a full-sized Christmas tree or piles of carefully-wrapped presents. But one of the best things about RVing is that it forces you to live small, and to reevaluate how much those material things really matter to you. And there are definitely ways to shrink down your traditional Christmas adornment to a trailer-friendly scale — without giving up any of the holiday spirit. So maybe instead of a full-on Douglas fir, you opt for a cute tabletop version. And maybe instead of ten big boxes filled with toys, games, and gadgets that will inevitably be gathering dust by February, each member of your party gets one really good gift on Christmas Eve… and you save the money to use on exploring new destinations. After all, it’s been said before, but for good reason: Christmas really isn’t about the presents. It’s about who’s present with you. Christmas trips come in all kinds of shapes and sizes, from trips orchestrated to bring the family together to cozy romantic getaways. No matter which type you’re after, here are some of our best Christmas vacation ideas — for families, couples, and even solo adventurers. If the oldest city in America isn’t already on your travel bucket list, it should be — and with one of the largest and most elaborate Christmas light displays in the world, there’s no better time to visit. 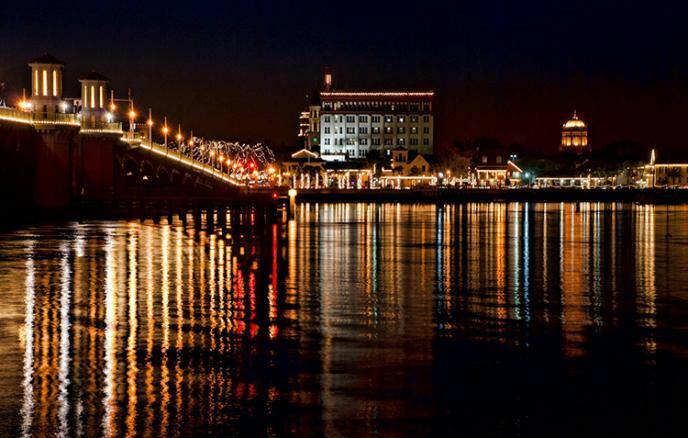 Aside from taking in the splendor of Nights of Lights, a trip to Saint Augustine promises a wealth of other festive opportunities, too. Meander around the town’s historic square, pausing for a photo with the oversized Christmas tree, or grab a toddy at The Ice Plant, a homegrown bar that’s been featured in a number of nationwide top-ten lists. Once you’ve had enough of city life, the beach will be waiting to welcome you into its relaxing, sea-carved landscape. In fact, if you camp at Anastasia State Park, you’ll almost be able to see the dunes from your doorway. 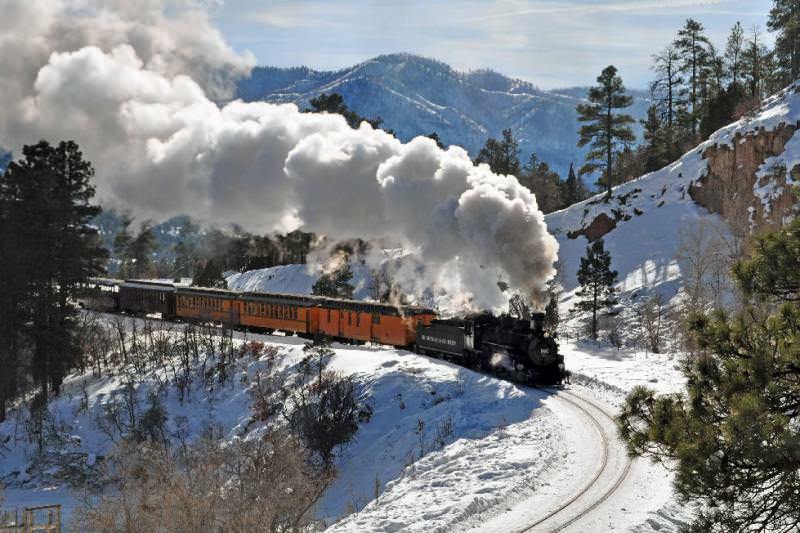 Oh, we almost forgot to mention the most important part: taking a ride on the world-famous Polar Express! Click here to see RVshare rentals near Durango, Colorado. 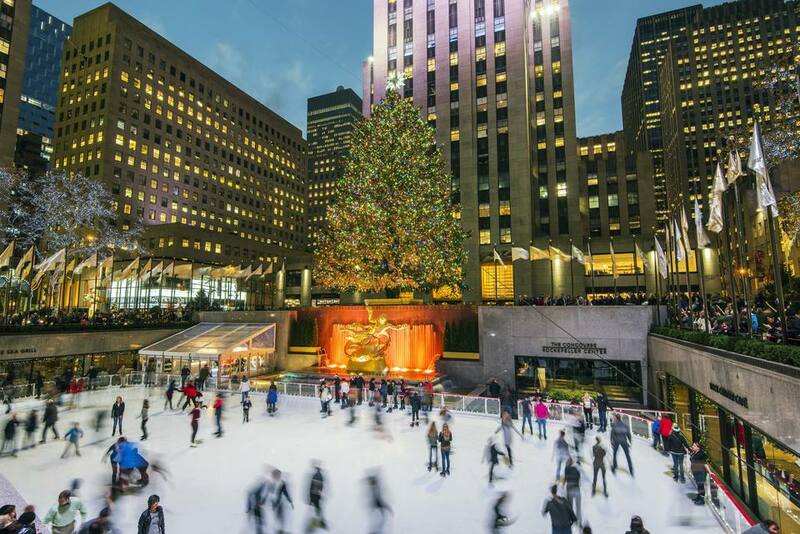 While it’s not exactly a natural wonderland, New York City is a can’t-miss destination — and with its array of iconic holiday landmarks, the best time to go is Christmas. Click here to see RVshare rentals near New York City, New York. 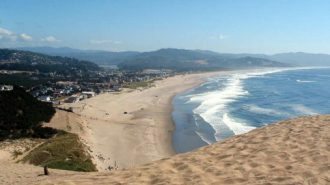 If you’ve been dreaming of a white Christmas, we have an idea for you: trade that snow-filled winter wonderland for the soft sand beaches of this central California destination. They’re just as white, and a whole lot warmer. Along with the opportunity to thaw from your hometown’s winter weather, Carmel-by-the-Sea offers an array of adorable boutiques, prestigious wine tasting rooms, and, yes, some of the very best beaches in the country — especially the dog-friendly one. Come see why Clint Eastwood decided to call this place home… and even once served as the town’s mayor! Click here to see RVshare rentals in the Monterey Bay area of California. If your only experience with the Ozarks is the Netflix show of the same name, you’re missing out. This mountain-filled, south-midwestern landscape is easily one of America’s most underrated destinations. And if you decide to wander that way during Yuletide, you’ll be treated to the kind of down-home party you’d expect from a heartland community. Already filled with tons of live shows, shopping, and dining destinations, the town comes alive with glittering lights during its annual Ozark Mountain Christmas. Click here to see RVshare rentals near Branson, Missouri. If you’re totally over winter weather, there’s no better place to turn to than southern California. And as tempting as Malibu may be, we suggest you skip LA’s famous traffic and head down to the border. 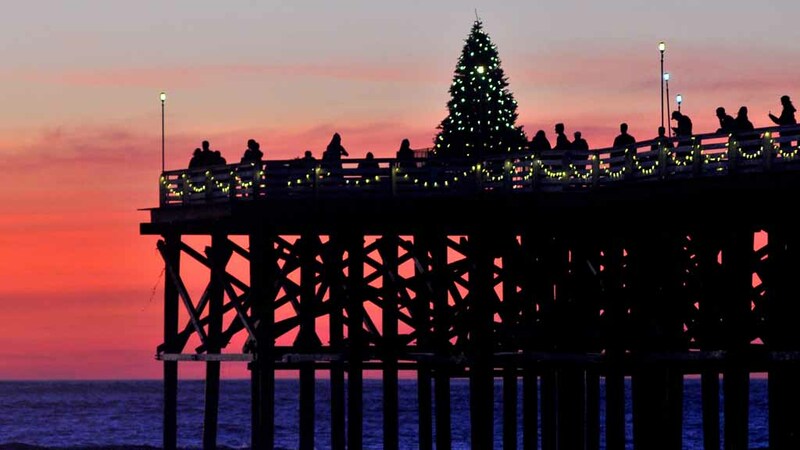 Whether you enjoy a catered holiday meal at one of the city’s many incredible hotels and restaurants, or simply sit back on the sandy beach to while away the holidays to the sound of the crashing Pacific, it’s hard to imagine a more scenic or serene place to spend Christmas. And yes, we know California’s expensive… which is why it’s so cool that San Diego offers more than 25 totally-free holiday activities. Click here to see RVshare rentals near San Diego, California. You’d be forgiven for never having heard of this small North Carolina town, situated just half an hour west of downtown Charlotte. Its population may barely top 600… but this little community makes a seriously big deal at Christmas — so much so that they actually rename their city Christmas Town for the season! Click here to see RVshare rentals near Christmas Town, North Carolina. As wonderful as the holiday season is, it can be a serious challenge to your regular healthy lifestyle. With a plethora of pies, cookies, and other goodies on offer almost everywhere you turn, it’s no surprise most of us find we’ve gained at least a few pounds come January. Couple that with the difficulty of keeping up with your health-focused routine while you’re on the road, and it might start to look tempting to just call it a wash and give up entirely, returning to your regular fitness schedule after winter’s over. But doing so will only leave you feeling tired, bloated, and decidedly un-festive. If you want to maintain your energy and keep yourself primed for enthusiastic celebrating — and amazing winter camping trips filled with family fun and outdoorsy explorations — it’s important not to let your healthy lifestyle go entirely. Of course, that doesn’t mean you shouldn’t allow yourself to indulge in some holiday favorites; those time-honored recipes are a tradition for a reason, sugar and calorie counts notwithstanding! 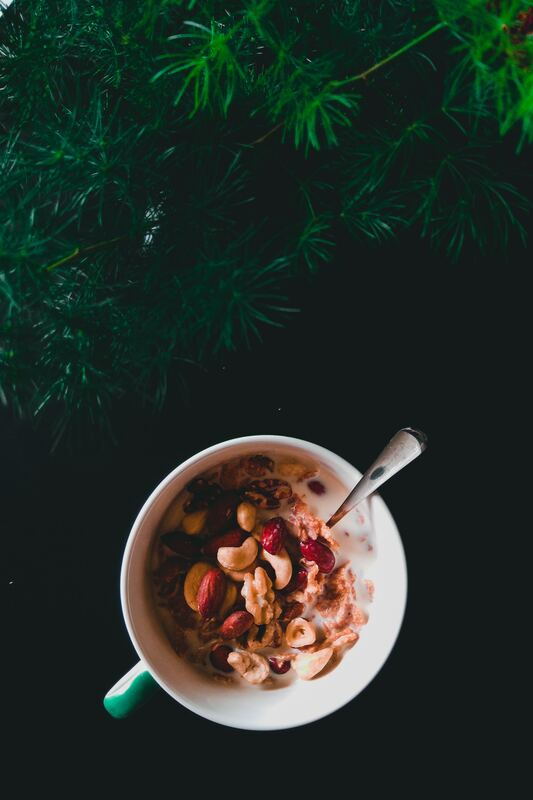 We’ve written before about how to stay fit and healthy during the holidays, as well as how to keep up with your fitness routine while you’re on the road. But here are just a few of our best tips to keep you in ship-shape throughout the winter season. 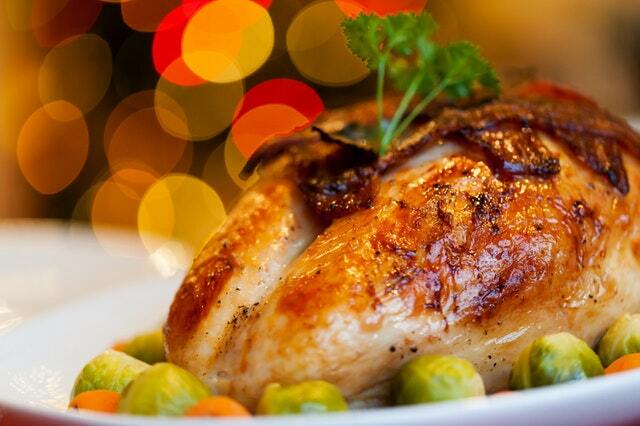 Make simple healthy swaps in your favorite holiday recipes. Don’t worry — staying fit doesn’t mean you have to give up granny’s most famous dish! In many cases, recipes can be tweaked in simple ways — and the results are indistinguishable from their calorie-dense cousins. For example, try switching a calorie-free sweetener, like erythritol, for that cup of sugar in your cranberry sauce. With zero calories or carbs but all the same sweetness, no one in your family will be any the wiser! Find fun ways to move. Winter brings all sorts of opportunities to get outside, whether you bundle up for a walk around town to see the lights or head out into the mountains for an epic day of skiing. Don’t forget about snow angels and snowball fights — just because something’s fun doesn’t mean it’s not exercise! Make sure to find time to retreat and recharge. As wonderful as it is to spend time with loved ones you might not get to see very often, the holidays can also be incredibly busy and stressful. 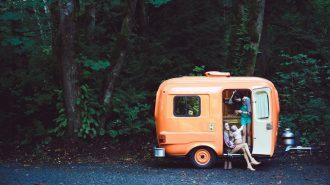 That goes double if you’re sharing a small space, like an RV, with a number of family members — and finding time to get grounded and centered is just as essential to your health as eating well and exercise. Check out this post on great yoga poses for RVers, which will help relax both mind and body; if you’ve got a full house (or mobile home), check out this post on finding personal space inside a small camper. No matter what time of year you travel, safety always comes first — which is why savvy RVers go to the trouble of ensuring they have an up-to-date emergency kit on board, including basic first aid, roadside repair tools, and extra potable water. But when you’re traveling during this hectic time of year, it’s important to take some extra precautions to keep your family safe. Winter driving can make the roads slippery and extra treacherous, and increased traffic can increase the chance of accidental collision. 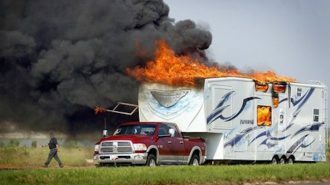 Here are some basic holiday safety tips to keep in mind when you’re planning your holiday RV trip. Be prepared for winter driving. Even if you’re used to driving on icy roads in a regular car, you’ll need to up your vigilance to tackle those stone-cold highways in an RV. 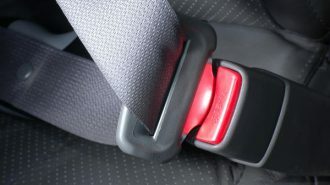 With so much weight behind you, stopping on a slippery road becomes even more difficult — and the potential inability to do so quadruples in danger. Depending on your rig and where you’re headed, you may need to invest in snow chains for your tires; no matter what vehicle you’re driving, you’ll always want to leave yourself plenty of extra stopping space. 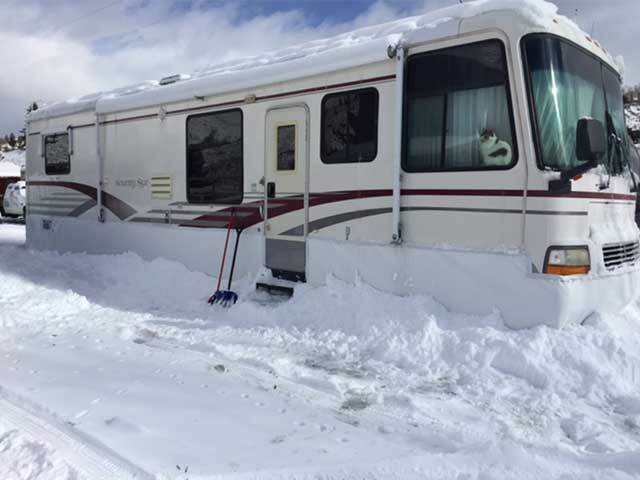 Here are seven pro tips for driving an RV in winter weather. Reserve your campsite early. While spontaneity is fun, you always run a risk of not having a place to camp for the night — and that’s doubly true during the popular holiday travel season. And although it may be convenient to call it a night in a Walmart or Cracker Barrel parking lot, it’s not always the most secure camping situation… and no one wants to have an asphalt field for their holiday scenery. 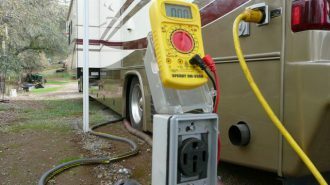 Make sure your RV is properly winterized! Your rig’s pipes can freeze just like the ones at home, and a breakdown in freezing winter temperatures can be more than just an inconvenience. 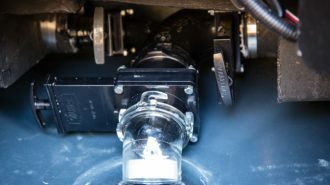 From the proper use of RV antifreeze to tips on staying snug as a bug even in a small travel trailer, we’ve got the information you need to safely camp in the winter weather. One thing’s for sure: the holidays come with a whole lot of stuff in tow. Halloween, Thanksgiving, and Christmas all have their own separate sets of decorations, and that’s not even counting the gifts, bakeware, and other items that go into creating a classic holiday celebration. Of course, all that stuff can be a challenge when you’re spending your holidays camping. Even the largest and most luxurious Class A diesel pusher doesn’t give you that much room to work with. As discussed above, in some cases, you can find scaled-down versions of favorite ornaments and decor to suit your camper’s footprint. But it’s also important to step back and take a look at your camping party supply list as a whole. Even if you weren’t spending the holidays in an RV this year… how much of that stuff do you really need? Obviously, some things are critical. You’ll probably agree it’s worth devoting a section of your RV’s kitchen counter to a tiny, table-top tree. But that sprawling model train set dad agonizes over each year? Maybe this time, it’s best left in the closet. 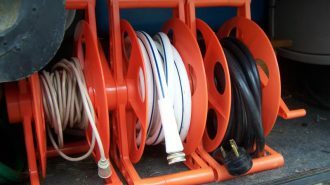 One great way to circumvent the RV space problem, both during the holidays and year round, is to try and find items that offer a variety of different uses. For example, instead of going out and purchasing a premade Halloween costume — which will take up valuable closet space and likely only be worn once — get crafty and create costumes out of your existing wardrobe, or by raiding your local thrift shop. Not only will it be more fun, but it’ll also likely be cheaper… and you’ll be able to wear each component of your handmade disguise again, in other contexts. 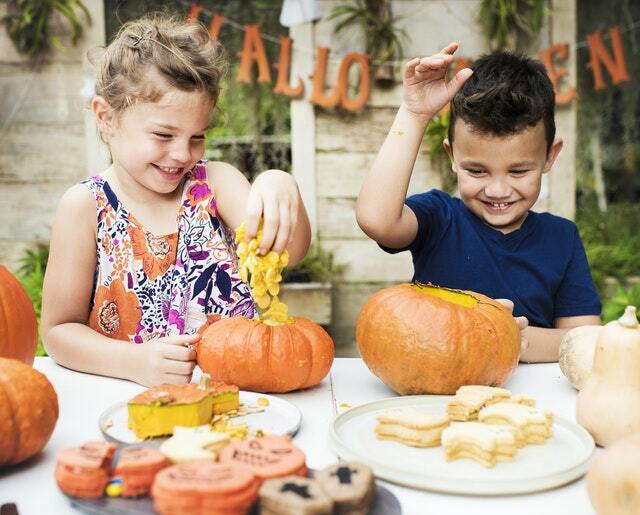 In a similar vein, Jack-o-Lanterns make wonderful decorations for campers: they can be placed outdoors as well as in, creating them constitutes a fun family activity, and their insides can be turned into delicious treats! 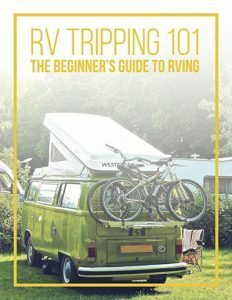 If you don’t already have an RV and you want to spend your holiday in a camper, your best bet is to rent one. But holiday gifts and other expenditures can wreak havoc on any travel budget — and RV rentals can frequently run several hundred dollars a night. That’s before factoring in fuel, food, or even rental agency extras like insurance or mileage charges. 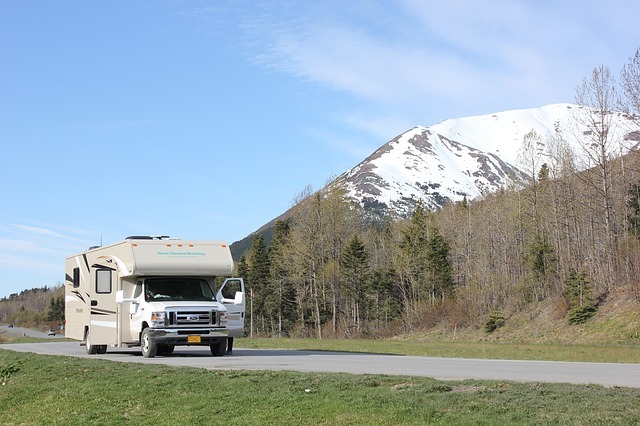 But when you rent an RV from a private individual through the peer-to-peer rental market, you circumnavigate many of the traditional RV rental expenses that push that nightly fee so high. 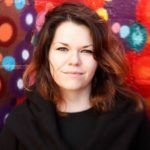 After all, a private RV owner doesn’t have to worry about keeping the lights on at a dealership floor or paying a team of customer service agents; she’s just looking to make some extra money so she can keep on camping and exploring. Just like you! Plus, RVshare makes it super simple to get on the road with as little fuss as possible. Each rental period is covered by a comprehensive insurance policy backed by A-rated firms, and you’ll also have access to 24/7 roadside assistance. In other words, when you rent from RVshare, you have nothing to worry about besides getting where you’re going — and having fun doing it! Of course, when you’re hitting the road for the holidays, you’ve got other expenses besides the cost of the RV rental to contend with. One major factor in your trip’s bottom line: the money you spend on campsite accommodations. There are plenty of ways to cut the cost of your campsite accommodations, including opting for free dispersed camping, or boondocking, sites in your travel area. But these sites aren’t always available — or navigable, if you’re headed into a snowy climate. And besides, it’s a vacation. 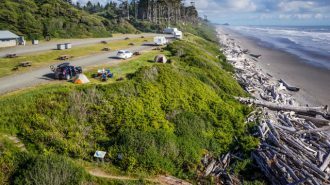 Maybe you just want the luxury extras.
. For less than $50 per year, you’ll get half-priced campsites at almost 1900 campgrounds across the country — and lots of them are those Club-Med-esque, amenity-filled resorts we’re talking about. Especially around Christmas time, hookup sites at private campgrounds can easily run you $75 per night or more. That means your Passport America membership pays for itself in a single weekend. Talk about a no-brainer! 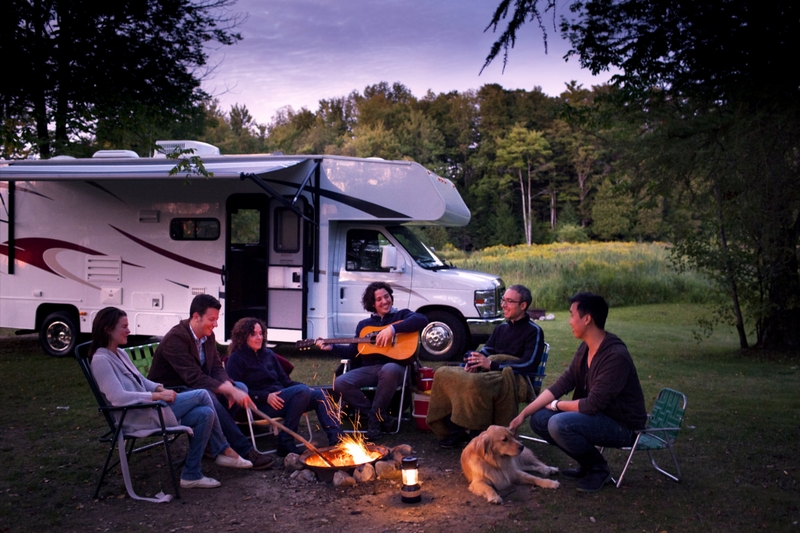 Another option for keeping your travels light on your wallet: Look for a campground or RV park offering special holiday pricing. If your destination isn’t uber-popular and is located in a cold climate, the hospitality industry may experience a dip during the winter… which often leads to lowered rates as an incentive to stoke business. Also be on the lookout for campgrounds that offer special holiday events and activities, which can transform your stay from a trip into a true vacation. One of our favorite families of resort-style campgrounds, Jellystone Parks, hosts a wide variety of themed events to match every special day on the calendar. To see what’s on offer at the Jellystone nearest you, contact the park directly; they’re privately owned, so every Jellystone camping experience is different! Ready to Take a Holiday Road Trip? No matter where you’re headed or how you get there, we hope you have a safe, relaxing, and joyful holiday experience. Oh, and don’t forget — no matter what happens, do not flush your wastewater holding tanks into the street sewer!